Though many local fans have focused their arena debating on traffic and rooting for one project site over another, the reality is that the saga today is as much about architecture and innovation as anything. All the KeyArena news last week took me back to a conversation 15 months ago with an architect whose vision came to define the city of Seattle’s current thinking on arenas. Ryan Sickman was lead architect for the AECOM firm’s team that in 2014 first discovered KeyArena could be modified for NBA and NHL without demolishing its iconic roof. It was Sickman and his team that figured out how, by twisting the arena floor diagonally, it could create enough arena space to meet league standards. And though many local fans have focused their arena debating on traffic and rooting for one project site over another, the reality is that the saga today is as much about architecture and innovation as anything. And it’s an innovation driven by words Sickman expressed in January 2016, an opinion sprouting more from his profession’s passion for the art of building design than loyalty to a site at Seattle Center or in the Sodo District. And there’s our city’s thought process in a nutshell: Why build a new venue that might harm an existing city asset when we can renovate KeyArena like new and still draw leagues, teams and better music acts? It’s a question that puts Chris Hansen’s team in Sodo at a distinct disadvantage in this three-group competition. A question no responsible city government can sidestep. The central issue facing civic leaders since AECOM’s initial autumn 2014 discoveries has been: Do we throw out the old when we might not have to? It was a question raised by architects. And now, nearly three years later, the world’s best architects are answering it — loudly. Most architects I know still have an inherent passion for the design challenges that first whet their appetites for the profession. And that passion came through in KeyArena renderings released last week by the Oak View Group (OVG) and the Seattle Partners pairing of Anschutz Entertainment Group (AEG) and Hudson Pacific Properties. 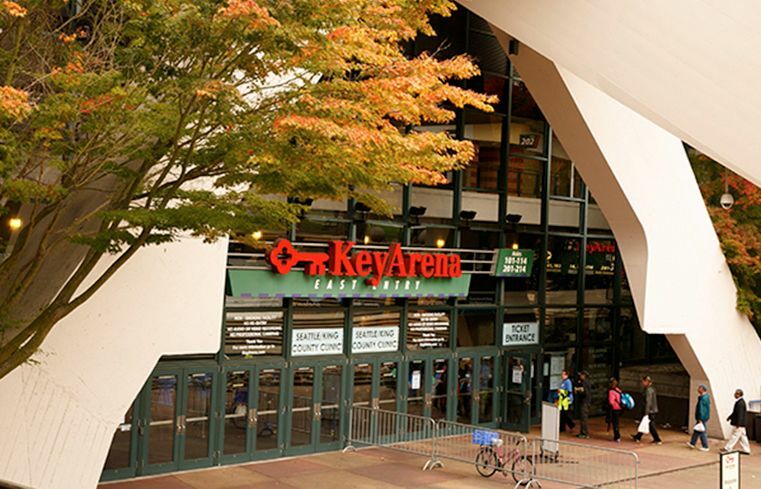 The new KeyArena designs took the initial innovation by AECOM several steps further. No longer is there a need for a twisted, diagonal rink. AECOM’s initial $285 million, cost-contained renovation forecast included the diagonal design, done under the assumption there was validity to predictions the city would be hard-pressed to find major private-sector investors for the project. But those predictions were wrong. Once behemoths OVG and Seattle Partners signed on as competing bidders — nearly doubling the initial AECOM budget estimate — the architectural world’s finest unleashed their creativity. The solution from Carver’s team was dropping KeyArena’s floor 15 feet underground to free up space. “The secret is actually going down and spreading out,’’ he said. Carver adapted the AECOM report’s suggestion of steeper seating; more akin to old-style arenas such as Boston Garden and Maple Leaf Gardens in Toronto. From a fan perspective, steep seating means better sight lines and an intimate feel. The Seattle Partners effort was just as creative. AEG president Bob Newman described it as an enormous architectural challenge in which its design team — including major architectural firms Gensler and Rossetti — was put in a room and told to exit with only its best idea. The group’s solution? Extending KeyArena’s roof over unused land on the venue’s south side and then walling around that to create additional interior space. Newman said “it was fun’’ watching the creative process devise better sight lines, wider concourses and greater revenue-generating capacity via methods even his global arena firm had never considered. 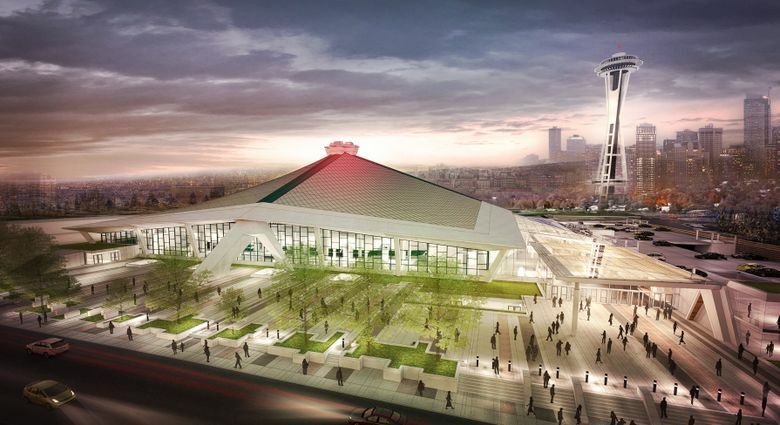 And that’s ultimately the legacy of the KeyArena proposal process: discovering what we didn’t already know by taking time — and spending money — to get real answers. Not unfounded speculation. With big sport and big business colliding on our doorstep, it’s the architects who have answered the question Sickman initially raised. No, the sports world doesn’t always need to throw away and start over. Cities can preserve sports assets, even supposed lost causes such as KeyArena. Now, our city must decide which option pencils out best. And whether throwing its asset away is something that, given what we now know, should even be up for discussion.